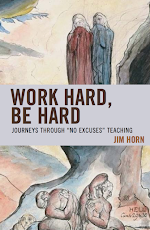 As a veteran educator of educators, I am accustomed to hearing how much people, regardless of education, training, or native wit, believe they know about education and school policy, especially when they find out how I make a living. 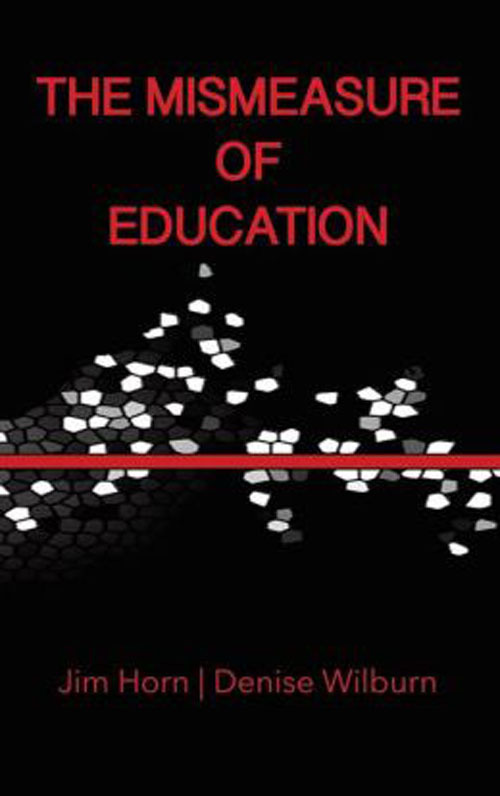 "History and philosophy of education, huh? Well, let me tell you why schools are so bad. . ."
And listening to them is easier than explaining how history or philosophy may be relevant to policy talk, implementation, and practice, if the powerful elites who make policy were not committed to remaking the same self-serving system that the protectors of the social status quo have been imposing for 150 years at least. 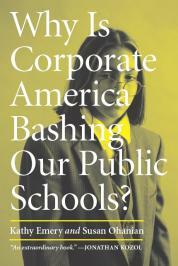 Today's businessmen who run the paternalistic and segregated schools for the disadvantaged are no less enthralled by rote learning and soul-crushing discipline systems than were the Latin grammar school teachers of the 19th Century, who cried out in protest when Horace Mann suggested "moral suasion" as an alternative to beating schoolchildren into submission. Questions relating to the choice of studies, vocational guidance, schoolroom procedure, the grading of pupils, promotional schemes, the study of the retardation of children in the schools, juvenile delinquency, and the proper handling of subnormals on the one hand and gifted children on the other— all alike acquire new meaning and significance when viewed in the light of the measurement of intelligence as outlined in this volume. 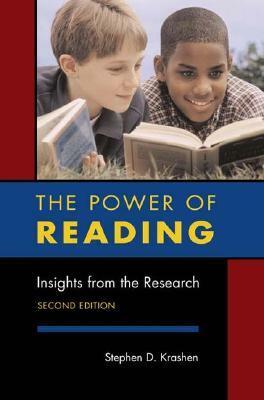 . . .More than all other forms of data combined, such tests give the necessary information from which a pupil’s possibilities of future mental growth can be foretold, and upon which his further education can be most profitably directed. Narrowing proficiency gaps that emerge way before college would probably do more to increase the nation’s college graduation rate than offering universal community college, easier terms on student loans or more financial aid. How does Eduardo know this? Can't say, since he does not offer any evidence to support his outrageous claim. The dire experience of these workers with college degrees displacing workers with less formal education stands in strong contrast to the widely-held view in economic and policymaking circles that the main problem facing the U.S. economy is a shortage of highly-educated workers. If college-educated workers were in short supply, then we would expect their wages to rise as employers attempted to lure them away from their competitors. Yet the inflation-adjusted value of the wages of college-educated workers has barely increased in the 21st century. What’s more, between 2000 and 2014 (the last year for which complete data are available), the employment of college-educated workers has increased much more rapidly in low-earning industries than in high-earnings ones. If there weren’t enough college graduates to go around, then the opposite should be happening because high-earnings industries would presumably be outcompeting low-earnings industries to hire college-educated workers. Our new analysis of the data from the U.S. Census Bureau’s Quarterly Workforce Indicators strongly suggests that college-educated workers are more likely to “filter down” the job ladder than to climb it. Eduardo does offer some data, however, that suggests that our past three decades of fixation on testing proficiency while forgetting about rising resegregation contributes nothing positive for either test scores or diversity in schools. 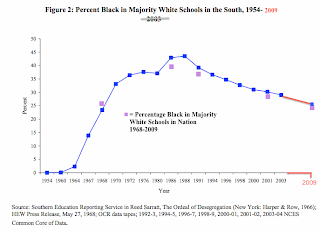 Extrapolating from Sean Reardon's paper on NAEP trends, Eduardo claims the black-white achievement gap has dropped by "as much as 50 percent compared with what it was 30 to 40 years before." 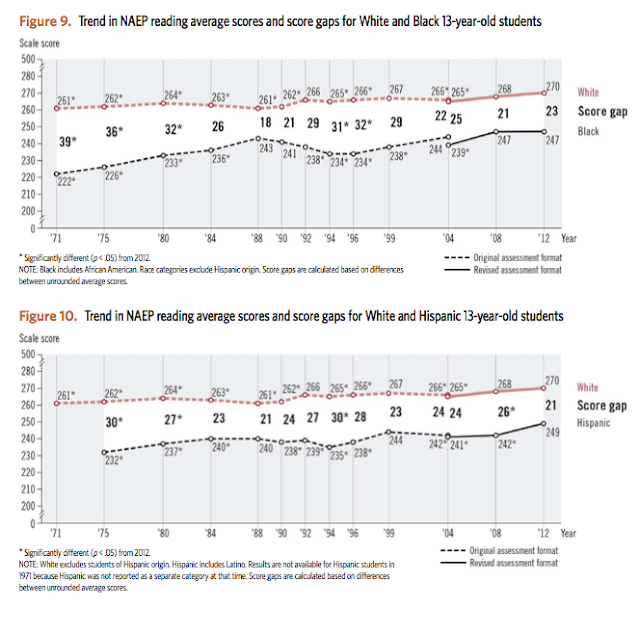 What we see in NAEP trends, however, is that the test score gaps were lowest when school desegregation was at its highest (click charts below), a correlation that is entirely lost on the middle class neolibs at the New York Times who require education fixes that don't work in order to maintain and grow the class divisions that provide the unscalable wall between Eduardo and those he presumes to save by raising their test scores.